The Taoiseach has said that a hard Brexit is possible, but he is confident it will not happen and said it would be a monumental political failure if it does. 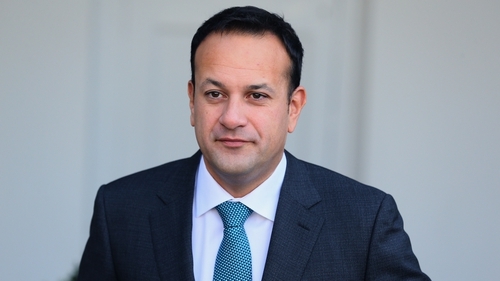 Speaking before a Cabinet meeting in Cork this morning, Leo Varadkar said the issues stalling the Brexit talks could be resolved by December. He said the Government would plan for all outcomes but it will not begin implementing worst case scenarios. The focus would instead remain on getting the best outcome for Ireland in the talks, he said. Minister for Foreign Affairs Simon Coveney said those talks are not deadlocked but they are coming to a point when big decisions have to be made and this will require maturity to be shown. It comes after European Commission President Jean-Claude Juncker said that Britain must commit to paying what it owes to the European Union before talks can begin about a future relationship with the bloc. "The British are discovering, as we are, day after day new problems. That's the reason why this process will take longer than initially thought," he said in a speech to students in his native Luxembourg. "We cannot find for the time being a real compromise, as far as the remaining financial commitments of the UK are concerned. As we are not able to do this we will not be able to say in the European Council in October that now we can move to the second phase of negotiations," Mr Juncker said. "They have to pay, they have to pay, not in an impossible way. I'm not in a revenge mood. I'm not hating the British." The EU has told Britain that a summit next week will conclude that insufficient progress has been made in talks for Brussels to open negotiations on a future trade deal. London has been hoping and pressing for this to happen at the summit.